Our uniform policy has been recently formalised and published by our Parents and Friends. Click here to download our full school uniform policy and guidelines. 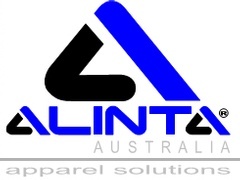 Our school uniform is supplied by Alinta Apparel. Alinta have a shop on the school grounds, located in the undercroft near the school library. Please click here to go to Alinta Apparel where you can register to access online shopping and there is a fitting times booking system created for the school community. Monday 2.30pm-4.00pm (1st Monday of the month ONLY). Please click here for a price list for Alinta uniforms. The P&F has established an affordable and sustainable second hand uniform shop with the support and goodwill of parents and carers. We sell donated second hand uniforms at low cost to any member of the school community. We help all families in our school community. 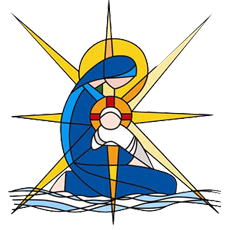 If you require second hand uniforms please send us an email directly at olsosuniformshop@gmail.com or contact the school office on 4365 6229 and they will pass on your request to the Second Hand Uniform Shop. Please note that we are only volunteers and we will respond to you as soon as we are able to. If you have uniforms that you no longer need, please consider donating them. Shirts and sports shirts sell for $5 and more expensive items such as jackets and girls winter tunics from $10. Funds go towards general P&F fundraising. If you would like to donate your uniforms to the P&F, please hand in to the school office in ready to sell condition. If you would like to be a part of the Second Hand Uniform team please leave your name and number with the office or come to our next P&F meeting. You may still like to list your second hand uniform for private sale on the “Sustainable School Shop” website. Details below. You can sell your second hand uniforms on the Sustainable School website. Click here to go to their website for more details. You can register free for the first year.